We’ll often receive calls here at TermLife2Go from dentists who are looking to protect their loved ones (and sometimes their practices) by purchasing a traditional term or whole life insurance policy. And while…We feel it’s very important to have a life insurance policy in place, we’re often amazed by how often these same professionals forget about or fail to pursue a disability insurance policy as well! After all…The most common reason why most folks decide to purchase a life insurance policy is so that if they were to die prematurely, the income that would be lost as a result of your death would be replace. But what if you don’t die? What if you ONLY become really sick or injured? Wouldn’t all the same negative consequences that would occur to your family if you suddenly died without life insurance also happen to your family if you were suddenly unable to work? So just imagine…You’re driving to work and bam! You have a car accident. This car accident may or may not be your fault. But, after the car accident, you can no longer work as a dentist due to some a disabling injury. And we’re not…ONLY talking about some “type” of long term disability condition. Your injury might very well be from some type of condition which may only require you to take time off of work for a “relatively” short period of time say 30-90 days or so. In cases like these, even a short term disability insurance policy could mean all the difference in the world. So, just think about…What would happen if you didn’t receive a pay check for 3 months! Are you prepared for something like that to happen? Have you even considered that something like this could very easily happen to you! Don’t think you could become disabled? Think again. I’m not worried about any of this, I already have coverage in place. It’s amazing how many folks will research purchasing life insurance because they realize that their employer doesn’t offer enough coverage for their family, yet they fail to “research” just how their disability insurance policy works through their employer or auto insurance. If they did…There’s a really good chance that they may suddenly realize just how exposed their family is to the dangers of suddenly not being able to work in their chosen field full time. For example…Did you know that many car insurance and health insurance policies may cover part or all of your medical needs…but won’t compensate your loss of income, particularly if your “condition” is going to be an “ongoing” condition which may require long term care? So… Now that we’ve established why folks may want to purchase a disability insurance policy, it’s probably time to start talking about what a disability insurance policy is and what you should be on the “lookout” for when considering “which” disability insurance policy is going to be right for you. There are many types of disability insurances out there (just like there are many types of health, life or even car insurances policies), but the basic objective of a disability insurance policy is to help you have supplementary income in case you can no longer work. Types of Disability Insurance for Dentists. As a dentist, you will need a disability insurance that would be able to cover your income level, so that you won’t have a major blow to your lifestyle in the event that you are no longer able to work full time. Because without it, you will probably face the very real scenario of having to go from living a comfortable lifestyle where you can travel, eat out, afford to maintain your house, and not have to worry where your next rent/mortgage payment is going to come from to a VERY stressful situation where every penny of every dollar is going to need to be stretched to it LIMIT! That said….As a dentist, you’re going to have a few different options to choose from when looking at what “type” of disability insurance policy you may like to purchase. This is a type of disability insurance that will cover you for a relatively “short” portion of time. These “types” of disability insurance policies are generally used to “compensate” for your income during which time you can make a full recovery. Realistically, these “types” of disability insurance policies are best suited for disabilities that one can recover from (AKA: temporary disabilities). Problem is, we’ve yet to meet anyone who has been able to “predict” they “type” of disability they are going to suffer from in the future. And while…Short term disability insurance policies can be extremely helpful in the right situation, when it comes to helping dentist find the “right” type of disability insurance policy, we generally prefer to recommend long term disability insurance policies over short term simply because being a dentist requires a certain skillset and an enormous amount of education. So…You’re really not going to be able to easily “replace” this occupation with another one should you no longer be able to practice. For this reason, having a policy that might be able to help you out for a few months isn’t going to solve your problems which is why, we generally recommend that most dentists first consider a long term disability insurance policy first. Long-term disability insurance can be extremely useful if you are disabled for an extended period of time, particularly if it means you can no longer be a dentist. This is the type of disability insurance that you can use to ensure that you and your family don’t necessarily need to suffer as a result of some sickness or injury preventing you from being able to work as a dentist. There are a lot of different “types” of short term and long term disability insurance policies out there. And in our opinion, not all of them are going to provide you with the coverage you’re looking for. This is why it’s important to work with an insurance brokerage like TermLife2Go who has the ability to work with multiple different disability insurance carriers so that when it comes time to determining “which” insurance company is going to be “right” for you, we don’t need to rely on just one or two different options. That said however…Let’s just take a moment a briefly review just a few very important terms in this article so that you can get a general “feel” for what you should be looking for when comparing different disability insurance policies in addition to looking for the “best” possible price out there. As a dentist, we know you’d probably like to educate yourself before jumping into any type of insurance policy. So, here are a few terms we think that you should familiarize yourself as you begin your search for the “best” disability insurance policy for you. You’ll also find that each of these terms will play a major role in determining what price you pay for your coverage as well. Income benefit: Income benefit is the term used to define how much money you’ll be paid by the insurance company should you become disabled. Elimination period: Elimination period is the term used to describe the amount of time that you will need to wait from the time that you’ve been “defined” disabled and when when the payments from your disability insurance policy will start. will start (ranges from 30-730 days after being determined as legitimately ‘disabled’). In addition to deciding between short and long term disability insurance, you will have to choose between one’s own occupation and any occupation disability insurance. Own Occupation is a term used to define when you cannot do your own occupation, i.e. be a dentist, but you can do another occupation. 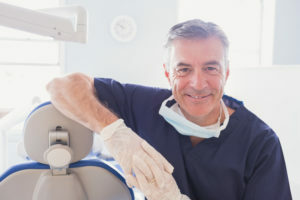 With “own occupation” policies, you will be able to qualify for your disability income benefit when you are no longer able to perform the substantial and material duties of a dentist. Now you may…Still be able to perform another occupation, but that will not prevent you from being able to collect benefits from your disability insurance policy if it defines disability as true own occupation. Any Occupation: Any occupation disability insurance policies on the other hand require that in order for you to be able to qualify for your income benefit, you must not be able to work in any capacity. Usually, this means you are paralyzed or have a permanent brain injury. For this, you will probably have to be deemed as “disabled” by the federal government prior to getting your benefit. Many policies offer a 24 month own occupation and then it changes to any occupation. For some people this is perfect because the disability policy premiums are lower. However, for someone who spent years training is a specific specialization, own occupation may be the only way to go. Which is definition is better for a dentist? That is a decision that you will ultimately need to make for yourself however considering that the paycheck of the average dentist is well above the average paycheck in America, we here at TermLife2Go will usually recommend that a dentist opt for own occupation vs. any occupation simply because you don’t want to find yourself going from a high paying position as a dentist to working as a cashier. Finding the Right Disability Insurance as a Dentist. Are there “certain” companies that are generally better suited for dentist than others? Sure, there are. But that doesn’t mean that all dentists should go with the same company, it just means that there are usually a handful of companies that we will immediately be able to eliminate from your choices when considering which disability insurance company is going to be the “best” for you. The good news is that…TermLife2Go can help! With our team of experienced insurance agents, we’re sure that we can help you decide which company is the “best” for you and if not, we’re definitely going to help educate you on what you need to look for before making a decision on which company you should apply with.